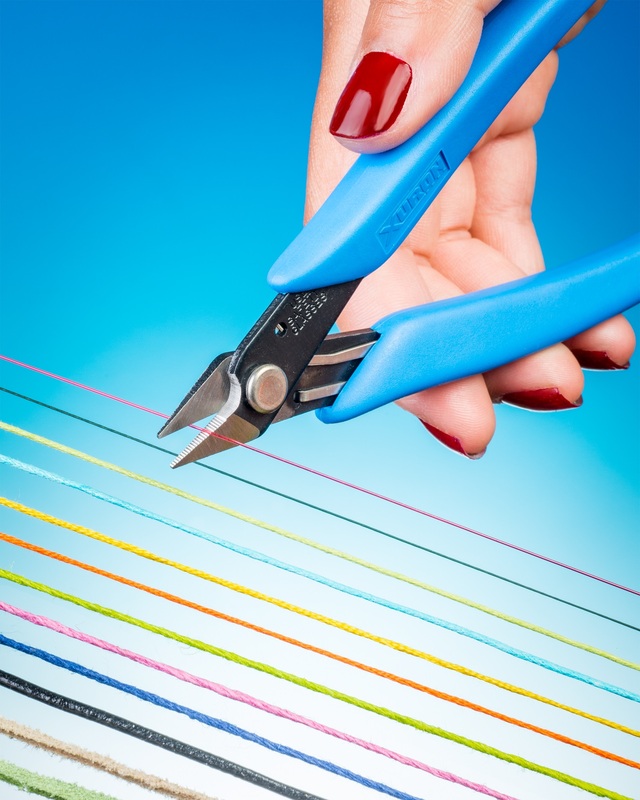 A new ergonomic scissor that is especially designed for cutting a wide range of challenging threads, cords, and yarns that are waxed, fluffy, soft, and slippery is being introduced by Xuron Corp. of Saco, Maine. The Xuron® Model 441 Thread & Cord Scissor is ergonomically designed with open handles that fit comfortably in smaller hands, has soft rubber grips, a Light-Touch™ return spring, and no finger loops. Featuring sharp, tapered cutting blades with one serrated edge for holding threads, cords, and yarns that are difficult to cut, this easy-to-use scissor produces clean cuts. Ideally suited for cutting slippery high-strength fishing lines, waxed linen, leather, and suede cord (3mm max. dia. ), hemp, cotton cord, elastic cord, sewing threads, nylon beading thread, silk pearl knotting thread, embroidery floss, and yarn, the Xuron® Model 441 Thread & Cord Scissor was developed for jewelry makers, beading artists, and crafters.